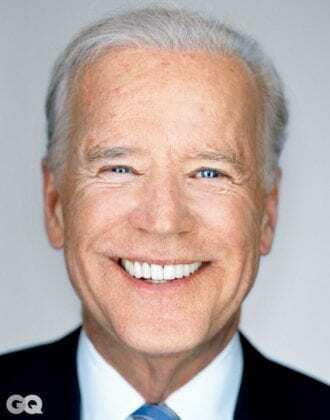 Joe Biden. Credit to: GQ. Joe Biden, Obama’s ex-vice president, is confident that the reinforcement of the job-centered culture is the answer to the challenges already affecting work marketplaces in the US, as written in his blog at the Biden Institute. He supports this vision instead of the idea increasingly put forward by Silicon Valley moguls: unconditional basic income. Biden, recalling his father’s words, wrote that he considers jobs to not only be a source of income, but also and foremost about “human dignity and self-respect”. Given that starting position, he is campaigning for an American economy that grows and “put(s) work first”. This, of course, is linked with the educational system and professional retraining, both areas in which Biden calls for profound changes, while maintaining “key workplace benefits and protections (…) in an economy where the nature of work has changed”. Basic income is given little attention in the cited blog post, summarized only briefly as something that is just boiling up in Silicon Valley due to transformations, present and future, introduced by automation. However, automation concerns have only been one issue among several that can justify introducing an unconditional basic income, such as the elimination of poverty, reducing inequality, solving bureaucratic unemployment and poverty traps and creating more gender equality. Also, as extensive data shows, basic income interest is growing all around the world (e.g. : Canada, UK, Finland, Netherlands, Germany), not only among the Silicon Valley milieu. What”s the need for so many jobs, are Youn yhinking of keeping all the mases consuming more junk and trashing the planet with plastic , rather than educate them? What”s the need for so many jobs, are You thinking of keeping all the mases consuming more junk and trashing the planet with plastic , rather than educate them?